A package of services designed to generate the model of your project through the main BIM software. 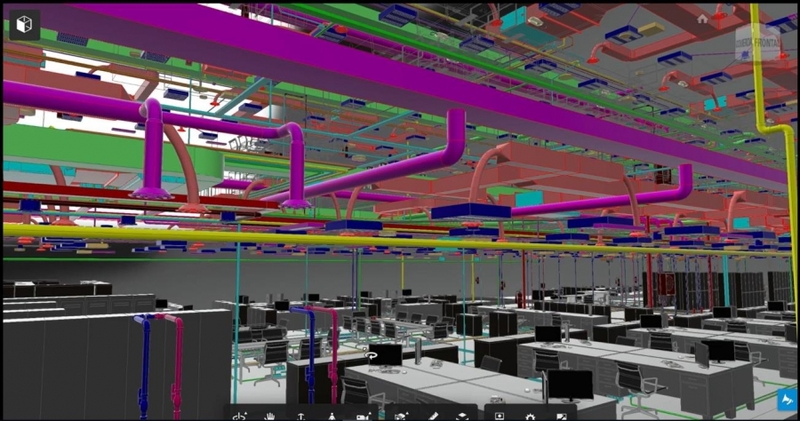 The BIM-modeling service constitutes an information-transfer process from the standard documentation formats to a model which includes all such information within a BIM database system. The final model is arranged under a specific protocol determined on the basis of the requirements of each project-phase, such as, analysis, design, construction and maintenance. The final result is a BIM model completely accessible and editable in every aspect with a consequent process optimization in terms of costs and management for the Client and its partners. The whole process is developed through 3 main phases, each of them controlled by a Client’s representative, and it can be carried out through a linear or parallel progression. Phase 1: documentation delivery process. The GBF team defines, along with the Client, the formats and methods under which the project-related documentation and information has to be delivered in order to develop the final BIM model. Phase 2: information-flow design. The Client, supported by the GBF team, provides a univocal description the information to be included in the final BIM model and the outputs that such model will have to provide once completed along with the communication procedure to be followed to extract them. Phase 3: model-delivery process. The GBF team delivers the BIM model along with a specific coaching session about how to operate and manage its features and a first Clash-Detection demonstration. This last phase constitutes a practical exercise of “technology-handover” toward the Client who finally becomes more and more independent in creating and managing BIM models.